Overview: Modern ruins’ have huge power. Detroit Bridge is part of this postindustrial heritage but his potential has been out of consideration for sixty years. Built to support streetcars and car traffic, it is since 1954 only use by cars. According to this, we quickly understand that the structural capacity has a big redundancy. 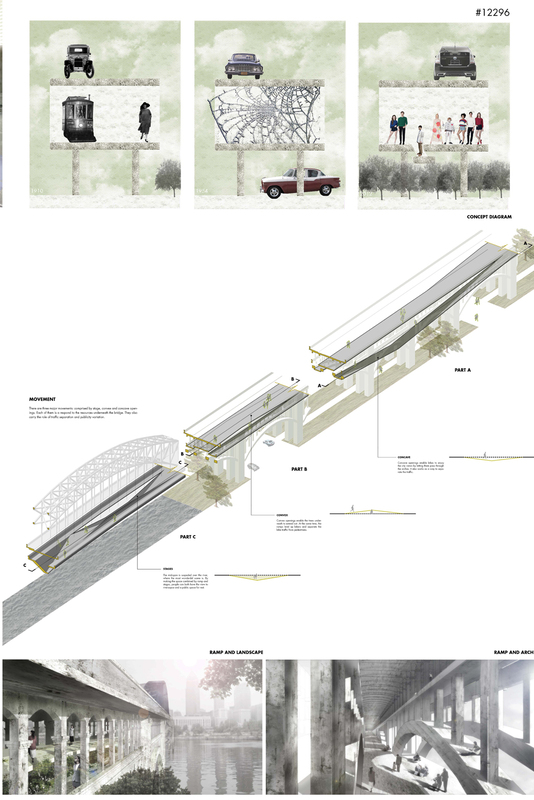 We are grafting new spaces under the bridge each of them has a different relation to his context. Walking on the canopy while the bottom of the bridge protects you from the rain or having the felling to float on the river are unprecedented feelings created by the new constructions under the bridge. Besides the attractiveness of the view we give the opportunity to people to enjoy the spatial qualities of such a massive structure. We are creating a hybrid public space for both leisure and discovering. Although, different kinds of public spaces are created: some of them are more individual and designed to pass through quickly while other invites to collective experiences. 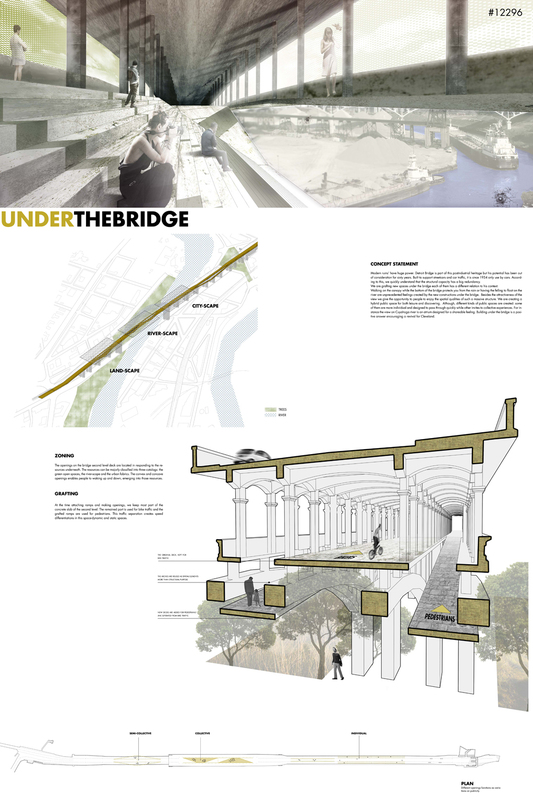 For instance the view on Cuyahoga river is an atrium designed for a shareable feeling. 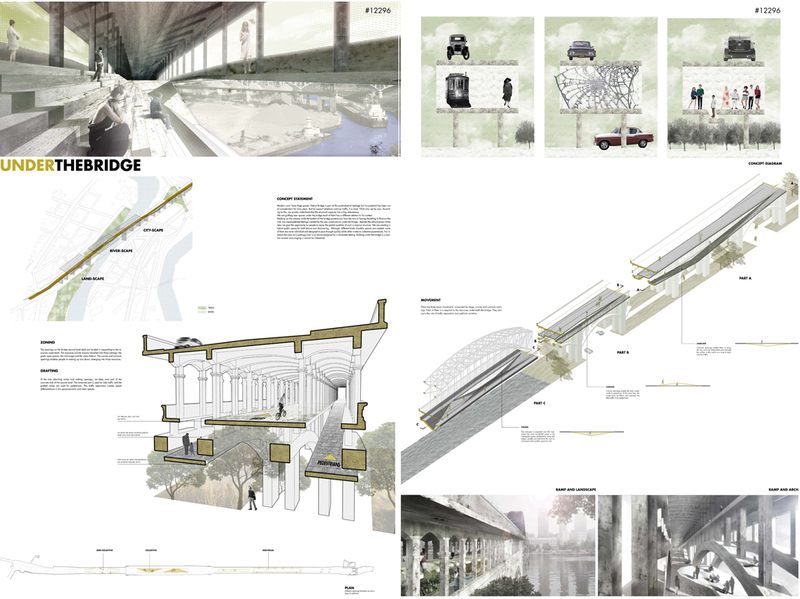 Building under the bridge is a positive answer encouraging a revival for Cleveland.